TUCSON, Ariz., Jan. 2, 2019 /PRNewswire/ -- Accelerate Diagnostics announced today that the company is scheduled to present at the 37th Annual J.P. Morgan Healthcare Conference in San Francisco on Wednesday, January 9, 2019, at 2:30 PM Pacific Time. Investors may participate by accessing a webcast of the presentation from the company's investor relations website at ir.axdx.com. A replay of the webcast will be available for 30 days following the conference. Accelerate Diagnostics, Inc. (Nasdaq:AXDX), is an in vitro diagnostics company dedicated to providing solutions for the global challenges of antibiotic resistance and sepsis. The Accelerate Pheno™ system and Accelerate PhenoTest™ BC kit combine several technologies aimed at reducing the time clinicians must wait to determine the most optimal antibiotic therapy for deadly infections. 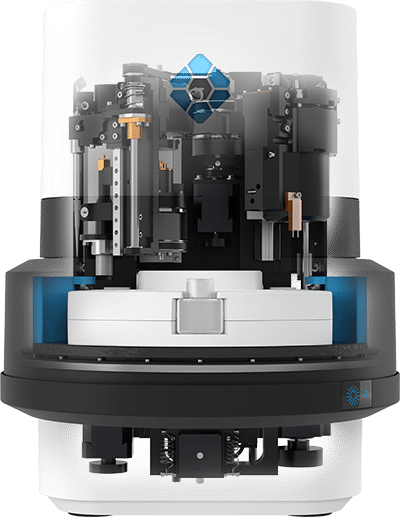 The FDA cleared system and kit fully automate the sample preparation steps to report phenotypic antibiotic susceptibility results in about 7 hours direct from positive blood cultures. Recent external studies indicate the solution offers results 1-2 days faster than existing methods, enabling clinicians to optimize antibiotic selection and dosage specific to the individual patient days earlier. Certain of the statements made in this press release are forward looking, such as those, among others, about our projections as to when certain key business milestones may be achieved, the potential of our products or technology, the growth of the market, our estimates as to the size of our market opportunity and potential pricing, our competitive position and estimates of time reduction to results, and our future development plans and growth strategy. Actual results or developments may differ materially from those projected or implied in these forward-looking statements. Information about the risks and uncertainties faced by Accelerate Diagnostics is contained in the section captioned "Risk Factors" in the company's most recent Annual Report on Form 10-K, filed with the Securities and Exchange Commission on March 1, 2018, and in any other reports that we file with the Securities and Exchange Commission from time to time. The company's forward-looking statements could be affected by general industry and market conditions. Except as required by federal securities laws, the company undertakes no obligation to update or revise these forward-looking statements to reflect new events, uncertainties or other contingencies.